Model Home! Rare opportunity - Lenox Model Home - Move-in Ready! 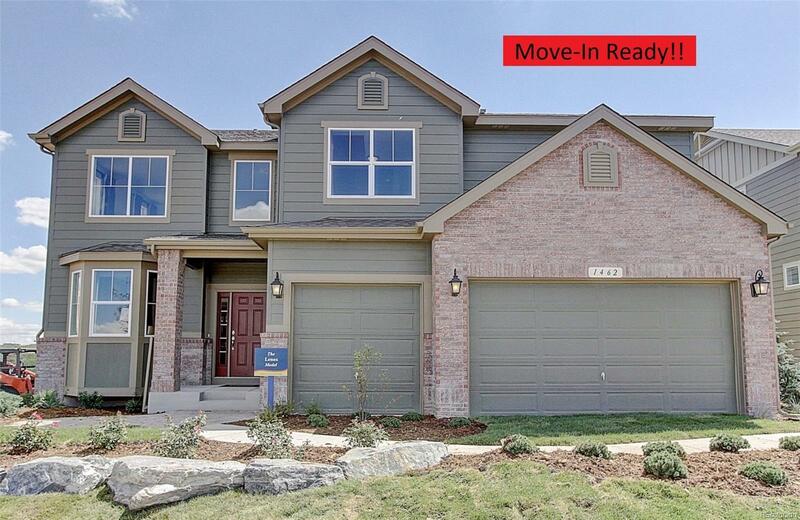 Across from the Terrain Swim Club & Dog Bone Park, extensive open space and walking trails. Lots of space for everyone - guest suite w/private bath on the main flr, spacious family rm w/fpl plus open kit & stunning dining rm with wainscoting-perfect for holiday entertaining. This home boasts a spacious loft for a game room or 2nd TV area, large bdrms and laundry rm with front load washer and dryer. Chef's kitchen with Linen Maple cabinets, Quartz countertops, subway tile back splash, SS gourmet kitchen appliances w/ french door refrigerator + extensive 5" Hardwood Flooring. Also includes rugs, custom curtains and wall art currently in the home. Front and Back yard custom landscaping, sprinklers plus 5' privacy fencing and oversized covered patio for bbq's. Sage Canyon Elementary School and Wrangler Park with playground, ball field and tennis courts are just up the street. Come show this home, your buyers will love it!